Our brothers in prison lie between life and death, 114 days into their hunger strike, due to the insensitivity of the racist Chilean government of Michelle Bachelet. Lonko [Chief] Alfredo Traical Coche and brothers Ariel, Benito and Pablo Trangol Galindo, are accused of a political-judicial set-up known colloquially as the “Church Case,” which was planned by the fascist Right and oligarchy currently residing in Wallmapu. This ruling class has taken over our territories through the political, cultural and territorial plunder of our peoples over the last 130 years. Today when our people organize and demand their legitimate rights in the reclamation of their territories, they are brutally repressed by the same authorities that have signed international treaties to respect indigenous rights. These are the same authorities, who just a few weeks ago hypocritically issued a State apology to the Mapuche people for all the harm they have caused over 100 years of oppression. We ask ourselves: what is the value of this apology – made hypocritically by Chilean President, Michelle Bachelet – when she is incapable of answering the simple demands of four Mapuche hunger strikers? Mapuche Political Prisoners have had to sacrifice their own bodies and even their lives to make a so-called democratic government adhere to basic judicial norms. These include a right to due process; stopping the application of the Pinochet era Anti-Terrorist law, which had previously been used to eliminate and disappear political adversaries of the military dictatoriship; the elimination of anonymous witnesses; and finally, lifting extensive periods of pre-trial custody. All these demands can be resolved through political will, in solving the issues initiated by the Chilean State through its intervention and invasion of Mapuche territory, reflected in the vast expansion of logging and hydroelectric companies that plunder the environment and increase poverty through the current economic model. The racists, fascists and oligarchs entrenched in Wallmapu, so-called southern Chile, accuse our people while unleashing cowardly, violent attacks on our communities. Chilean repressive forces attack children, women, and elders, incarcerating, murdering or disappearing all those who resist, then immediately designate them as part of an illicit terrorist association. The Chilean state’s repressive methods are no longer tailored or mediated. The same language has been adopted from the military dictatorship, as well as its infamous totalitarian operations. Yesterday, Operation Albania and Operation Colombo allowed for the media spectacle necessary to justify and normalize state repression. Today, Operation Huracan continues this tradition through the selective arrest of Mapuche leadership, destroying everything in its path, while calling our unarmed Weichafe [Warriors] and their children terrorists. Shame. There lie the valiant soldiers, puppets of a corrupt State, repressing a disarmed people. This is an every day reality in Wallmapu. Injustice and impunity is perpetuated. Unto this ongoing assault, our people resist. For in between the loicas and Araucaria trees, our struggle rides onward. It has begun and no one will be able to detain it, until reclaiming every piece of our territory, and with it, our identity and dignity as a free people, sovereign and autonomous from the Winka [Settler] State. We should not be sad, despite the 114-day hunger strike our brothers have had to endure. Prison, despite its painful reality, is but another front of struggle that oppressed peoples can use to be heard unto mute justice, especially when demanding the legitimate rights of an oppressed people, such as ours. It is why our Mapuche People need us today, in any part of the world. Let it be known that solidarity is a weapon and we must use it! Onto the streets! Let us denounce unto the world the crimes that the Chilean state, and its government in turn, have brought onto our Mapuche people! 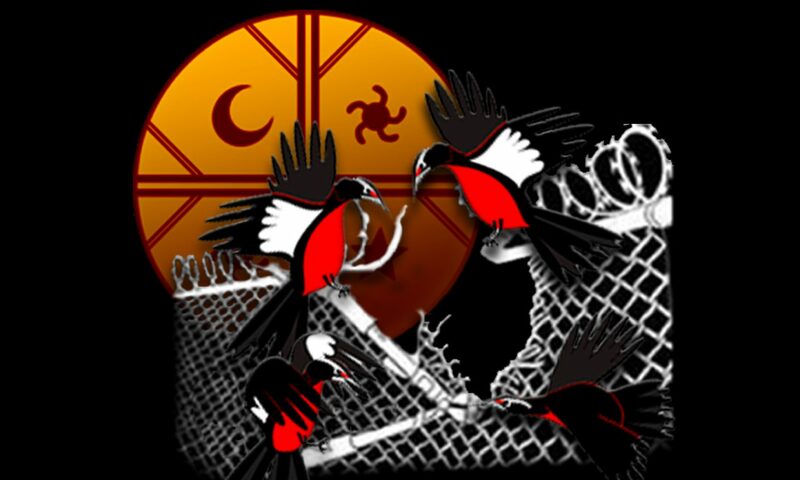 Thursday, September 28th, 2017 – Day of Action and International Solidarity for the Life and Freedom of our Mapuche Political Prisoners on Hunger Strike and for the freedom of All Mapuche Political Prisoners! We’ll see you on the streets!